The Event Horizon Telescope is actually a network of 10 different telescopes all over the world that act as one. 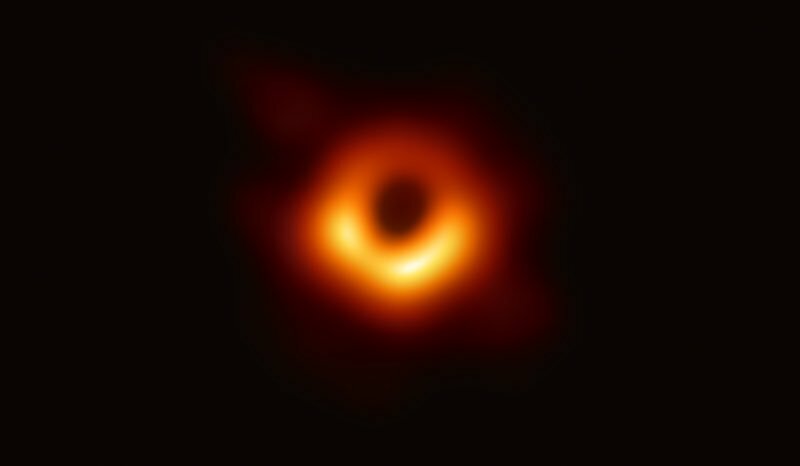 By using radio waves in ways that scientists can probably explain in ways that would make your head spin, these telescopes worked together to get us this real photo of a black hole. At the center of it all, the event horizon, a place where gravity becomes so intense that nothing can escape — not even time and space, which are warped within its pull, breaking down the laws of physics in ways we don’t understand but that certainly sounds like a science fiction movie. (Yes, that science fiction movie). Just as impressive, the actual image of the black hole matches the predictions scientists have been making ever since Einstein’s theory of relativity. Turns out scientists are pretty good at creating predictive models about nature. Maybe we should listen to them!